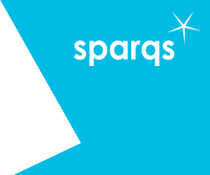 sparqs Student Engagement Awards - Course Rep of the Year awards are now open! The deadline for nominations is Friday 8th February 2019 and we look forward to receiving nominations from anyone who would like to highlight the contributions of an outstanding rep! Awards category (college or university). Name and course title of the nominee. Length of time the nominee has been a rep (if known). Academic year(s) in which the nominee was a rep. Your reasons for nominating them. Submissions for the four categories for institutional/SA work have now closed, as of 11th January. The awards ceremony will take place at a drinks reception at the end of our conference on Thursday 28th March 2019. The conference is taking place at Surgeons' Hall in Edinburgh and the theme for the conference is ‘Student Engagement for All’. The shortlisted entries for all Awards categories will be announced prior to the conference. We look forward to receiving your submissions celebrating the innovative work going on across the Scottish sector! If you have any questions about submitting an Awards nomination, please contact Lindsay Isaacs on lindsay.isaacs@sparqs.ac.uk. See the main conference webpage for further details on the wider conference, including registration details and conference fees, and additional opportunities for international delegates.